ADDRESS Interview with Nick Tretiak of Tretiak Works. Define your craft in 3 sentences or less. 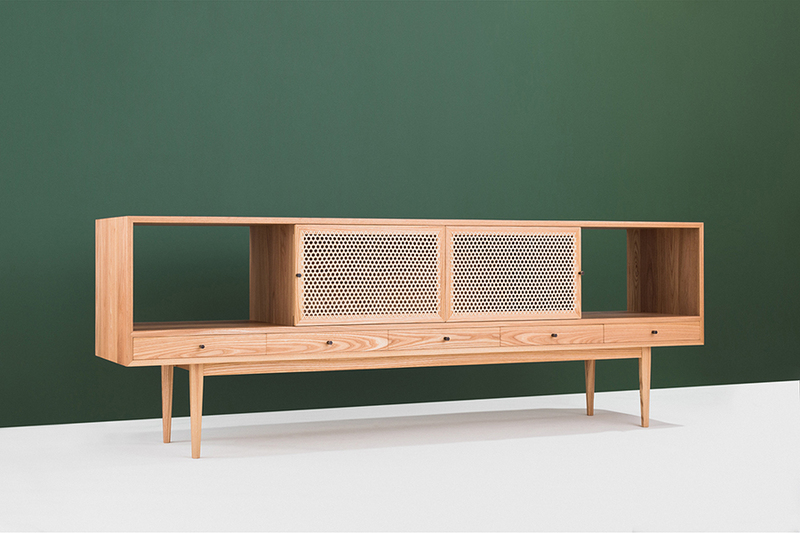 Tretiak Works creates furniture primarily using solid wood with traditional joinery in domestic wood species. Most of our work is defined by the attention to subtle details and a focus on durability. In addition to wood, many of our pieces use custom metal hardware and incorporate other natural materials including textiles, leather, and reed cane. Describe your creative process. Most new designs start with “playing” in the shop by cutting up and shaping scrap wood to find interesting details or interactions. Once I find a detail or shape interesting I stew on it for a few months and think how it could be used in a new design. Finally, I sit down and draw and/or make more 3d sketches to refine the idea. Where do you find inspiration when experiencing a creative block? Although I’m designing and producing modern designs I find a lot of inspiration in early forms of furniture and especially early American designs like those from the Shakers. In most cases this inspiration comes from thumbing through books but also from strolling through an antique shop or museum. What advice would you give to young designers / makers / artists / creatives aspiring to make it in their field? Just make stuff and embrace the evolution. I think it’s important to make the work you want to do and put it out in the world even if there is no client. It can be hard to set aside time and resources for this but it’s even more difficult selling something if no one has seen it. At the same time, don’t get too attached to those creations. Sometimes what you think is a great idea just doesn’t sell or get embraced or is too hard to make. It can be discouraging but more importantly it can be an opportunity to push to the next idea. What’s your dream project? As someone obsessed with details I find the idea of designing a whole house overwhelming. However, it would be amazing to work with talented architects/designers to design a collection of furniture specifically to a unique house and it’s setting. What art and design trends are you excited about? While at this point I don’t really incorporate it, I think the advancements in CNC and 3d printing are exciting. Beyond the use of such technology for efficiency there are some truly creative designers and artists exploring new techniques and pushing boundaries of production and materials.